This clearly written guide shows how to use meditation to raise one's awareness out of ordinary waking consciousness into the state of Superconsciousness, Swami Kriyananda offers core meditation tech- niques and exercises, and explains what one experiences when in a variety of meditative states. It is a remarkable, deep book for the life-long meditator, as well as the eager beginner. It offers step-by-step instructions for investigating higher states of awareness and specific routines to help one tap into the wellspring of creativity and unlock intuitive guidance. Superconsciousness is the hidden mechanism behind successful problem solving, concentration, spiritual and physical healing, and finding lasting joy. It is the key to living a deeper, more meaningful life. Swami Kriyananda, a direct disciple of Paramhansa Yogananda, is widely considered one of the world's foremost experts on yoga, meditation, and spiritual practice. He has written over 90 books, translated into 28 languages, and composed over 400 pieces of music. He founded Ananda Sangha in 1968 to spread Yogananda's teachings. Ananda includes six cooperative spiritual communities and ashrams in the United States, Europe and India, retreats and teaching centers, and over 100 meditation groups worldwide. He lives in India. A prolific author, accomplished composer, playwright, and artist, and a world-renowned spiritual teacher, Swami Kriyananda refers to himself simply as "a humble disciple" of the great God-realized master, Paramhansa Yogananda. He met his guru at the young age of twenty-two, and served him during the last four years of the Masters life. And he has done so continuously ever since. Kriyananda was born in Rumania of American parents, and educated in Europe, England, and the United States. Philosophically and artistically inclined from youth, he soon came to question life's meaning and society's values. During a period of intense inward reflection, he discovered Yogananda's Autobiography of a Yogi, and immediately traveled 3,000 miles from New York to California to meet the Master, who accepted him as a monastic disciple. Yogananda appointed him as the head of the monastery, authorized him to teach in his name and to give initiation into Kriya Yoga, and entrusted him with the missions of writing and developing what he called "World- Brotherhood colonies." Recognized as the "father of the spiritual communities movement" in the United States, Swami Kriyananda founded Ananda World-Brotherhood Community in 1968. It has served as a model for a number of communities founded subsequently in the United States and Europe. In 2003 Swami Kriyananda, then in his seventy-eighth year, moved to India with a small international group of disciples, to dedicate his remaining years to making his guru's teachings better known. To this end he appears daily on Indian national television with his program, A Way of Awakening. He has established Ananda Sangha, which publishes many of his ninety literary works and spreads the teachings of Kriya Yoga throughout India. His vision for the next years includes founding cooperative spiritual communities in India, a temple of all religions dedicated to Paramhansa Yogananda, a retreat center, a school system, and a monastery, as well as a university- level Yoga Institute of Living Wisdom. I began meditating over sixty years ago, in 1948. Since then I haven't, to the best of my recollection, missed a single day of practice. No stem-minded self-discipline was needed to keep me regular. Meditation is simply the most meaningful activity in my life-indeed, the most meaningful activity I can imagine. I seriously wonder how people live without it. Meditation gives meaning to everything one does. As India's best-known scripture, the Bhagavad Gita, states, 'To the peaceless person, how is happiness possible?" Inner peace is like lubricating oil: It enables the machinery of our lives to function smoothly. Without mental peace, our emotions, and the various demands placed upon us in our lives, grind together and create inner stress, leading eventually to some kind of physical or nervous breakdown. Psychometric studies have shown that meditation produces a healthy ego, that it expands a person’s world view and enables people to cope better with the stresses of life. Meditators, in addition, have shown significant gains in overcoming depression, neurotic behavior, and feelings of social inadequacy. Before taking up meditation, I would sometimes stare at a page for days before I could write down a single word. Even then, I doubted whether what I'd written was what I really wanted to say. Inspiration, which many highly creative people consider out of their hands, can be summoned at will by one-pointed concentration, and by magnetizing the flow of thoughts and ideas in meditation. Physical fatigue can be banished also, by putting ourselves in tune with inner abundance, flowing to us from infinity The deeper this attunement, through meditation, the greater the abundance we experience in every aspect of our lives. It was from a great master of yoga, Paramhansa Yogananda, that I learned the art and science of meditation. I read his Autobiography of a Yogi" in 1948, and was so moved by it that I took the next bus from New York City to Los Angeles, where he had his headquarters. The day I met him, he accepted me as a disciple, and I lived with him as a monk for the remaining three and a half years of his life. I have been his disciple ever since. The path of yoga that he taught was not that of the physical postures of hatha yoga, but the ancient meditative path of raja yoga. Of raja yoga, the highest technique, mentioned in several places in his autobiography, is kriya yoga. 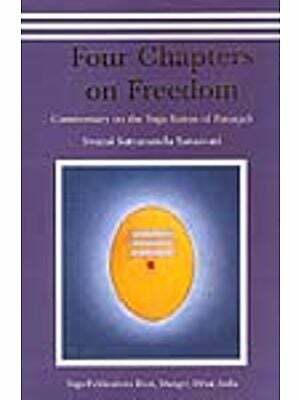 This present volume is based on the ancient raja yoga traditions and on his teachings. It serves as a preparation also for kriya yoga initiation. 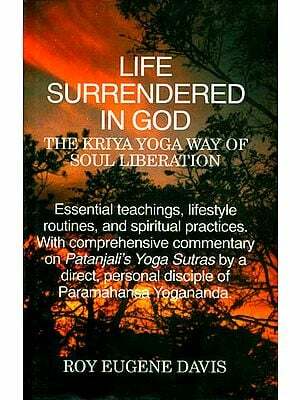 My own spiritual name, by which I am known in many spiritual circles, is Kriyananda, meaning "divine bliss through kriya yoga." The teachings of raja yoga are the best guide to meditation that I know. They are completely non-sectarian, and can be practiced with equal effectiveness by anyone regardless of that person's religious affiliation or lack of affiliation. The goal of these teachings is superconscious realization: the realization of who and what you are in your highest, spiritual reality It is, as you can see, a very personal goal for each seeker. I have therefore tried to explain it in a spirit of humble respect for your own deepest spiritual needs. This book is for several audiences. First, it is for the beginning meditator that wants an easy-to-follow, self-consistent system based not on scholarship or on desultory reading, but on the practical experience of a great master, supplemented by my own personal practice and experience. Second, I've written for experienced meditators, to bring them to a new and deeper level in their practice, and to offer them helpful pointers as well as answers to problems they may have encountered during their own practices. Third, this book is for people who are on other spiritual paths but don't realize the importance of direct spiritual experience. As Paramhansa Yogananda put it, "Meditation is to religion what the laboratory is to science." Fourth, this book is for people generally who, without necessarily realizing it, seek deeper meaning in life. Fifth and finally, this book is for those who, while not ready to take up meditation, desire deeper understanding of the phenomenon of consciousness. I have aimed to make this book as deep, and at the same time as clear, simple, comprehensive, and enjoyable to read, as possible. I am aware that some readers prefer to omit God from any effort at self-improvement, including the practice of meditation. I show in this book that, without aspiration toward some higher reality, one is left meandering mentally in a labyrinth. Whether you call that higher reality God, Cosmic Intelligence, or your own higher Self, it is infinitely above your normal waking state of awareness. I refer to God as "He" for the reason that, in English (as in many other languages), the masculine pronoun is also the impersonal. Something precious would be lost if we referred to the Godhead as It. For though God has no gender, God is not a thing. God is conscious; God knows us; God loves us. But one cannot keep on saying "God ... " this and "God ... " that without giving the impression that one is clumping about on stilts in an iris bed. Any attempt to be exact in ones references to God is almost laughable: How can the human mind even begin to grasp Infinity? My practice has been, when referring to human beings as individuals, to use the impersonal pronoun, "he," in cases where my reference is to the forever-sexless soul encased in a human body. "It" obviously wouldn't do. To follow the modern convention of saying "he/she" would be stylistically cumbersome, and (worse still) would force the reader's attention to a lower level by emphasizing superficial and spiritually non-essential differences.